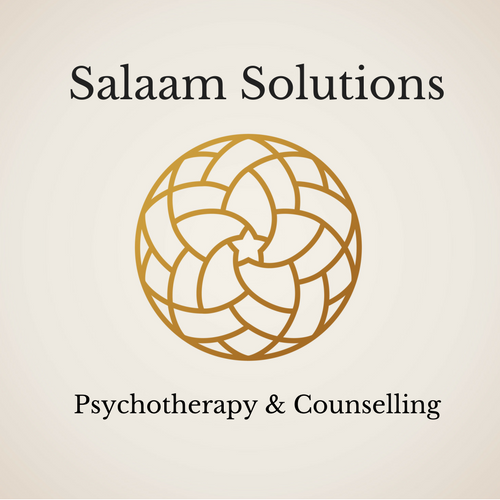 Salaam Solutions offers Therapy which is Spiritual and Psychological from an Islamic perspective and inline with Sharia and Sunnah. A common issue or complaint of clients from a muslim background is that their symptoms are jinn related or are a result of black magic, spells or envy. Ruqyah or Ruqi practitioners charge anything from £20-80 sometimes more to claim to heal or excorsise jinn from vulnerable/susceptible people. Common practice of the Ruqi is to recite Quranic verses over the patient. Other practices are employed such as spraying cider vinegar or zam zam on private parts or effected areas. Some even go as far as tapping even beating the patient with a stick to expel the Jinn. There’s more but we won’t go into it on here! whether you believe jinn can possess a person or not is not the question we are tackling here, what we are concerned about is that vulnerable individuals are paying for treatment that is unregulated, not bound by professional ethical governing bodies nor has most of the Ruqi practitioners any formal credible qualifications. Ruqyah is a term referring to therapeutic interaction or treatment for conditions related to sprititual, biological and mental imbalances that is a result of Jinn possesion, magic and the evil eye, such as envy. Ruqyah is based on cultural practices that have developed from an interpretation of Qur’anic verses relating to Jinn, black magic and the evil eye. Other claims to support supposed Jinn Possesion come from a few Hadith that relate to epeleptic fits, Unknown illnesses and unusual symptoms. As science and psychological theories in mental and physical health have developed we can now understand these symptoms and illnesses more clearly. However ignorance and distrust in modern day theories and treatments of psychological and biological illness still causes a large majority of Muslims to turn to Ruqyah treatment. However we cannot as Muslims deny unseen aspects of life as they are mentioned briefly in the Quran. So we must be careful not to dismiss the effects of the unseen altogether. What is advised is to seek knowledge, take personal responsibility for ones life and to follow the practices of Islam as is found in the Quran and Sunnah. Other important preventive measures one can take is Keep good company also self knowledge and knowledge of others. knowledge in general is a must for the Muslim, our 1st command from Allah swt was ‘Iqra’ read. It is usually ignorance that is in partnership with evil. The more your believe you are, you are! It may be hard to hear but ‘take some personal responsibility’. If you suspect someone has written a spell on you ask them why would they do such a thing? And if you don’t believe in the effects of this , just bin it and ignore. Ultimately, If you believe Allah swt is your Rabb and has ultimate power then no other unseen entity will have any effect whatsoever. If you are suffering with unexplained illness then seek medical and/or psychological support, support from trusted Family and friends and solace In your Lord. There can be no doubt for a Muslim that Sunnah practices can treat spiritual conditions and also be used to treat a wide range of mental health conditions, including: depression, anxiety, OCD, PTSD, Boarderline and Narcissistic personality disorders. We believe this because we believe the Quran to be Shifa , a healing. If you have a Quran read it! If your can’t recite the Arabic , listen to someone else. The benefits will come from a multitude of ways but understanding and action of the Quranic advice is more powerful than paying for someone to recite it over you. No one can heal you except Allah swt. A physician once said ‘we treat but it is God who cures’. If you have been effected emotionally, financially or disturbed by the practices of Ruqyah healing/therapy then counselling can help. Next:Islamic Counsellor or Muslim Counsellor?